The origins of the Courbis family estate date back to the 16th century. More recently, the brothers Dominique and Laurent Courbis succeeded their father, Maurice, in the early 1990s. 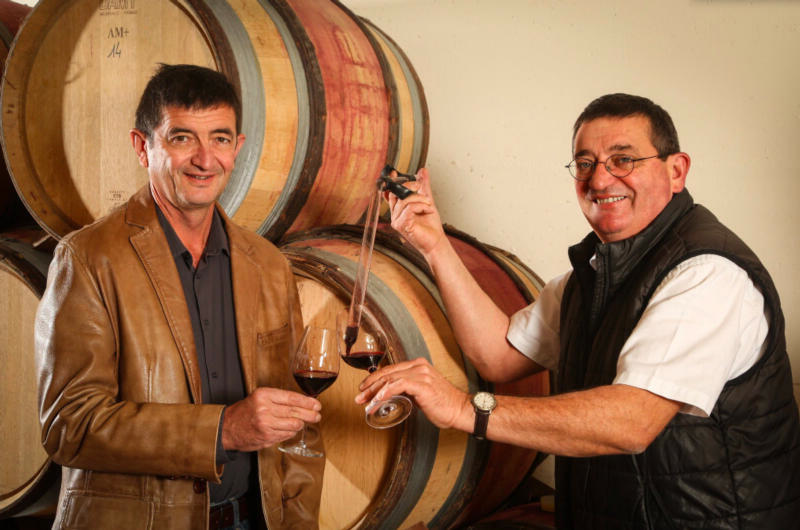 They have since firmly established themselves as leaders of the modern school of winemaking in St Joseph and Cornas. The Courbis style may be summarized as offering wines filled with intense aromas and concentrated fruit with great purity and length. This is in large part achieved by a combination of meticulous and sustainable vineyard work undertaken to attain perfectly ripe, healthy, concentrated grapes together with fermenting in tanks and aging in barriques. The wines emphasize the expression of fruit while highlighting the specific character of the various St-Joseph and Cornas vineyard origins. The estate owns 33 hectares divided as follows: 8 hectares in Cornas; 5 hectares of St Joseph Blanc; 19 hectares of St Joseph Rouge and 1 hectare of Syrah Vin de Pays de l'Ardèche. The vineyards are all on south and east facing slopes in the communes of Châteaubourg, Glun and Cornas. All the grapes are harvested by hand, rigorously sorted and 100% de-stemmed. The maceration period for the Syrahs lasts between two and four weeks. The wines mature in barriques which are new or up to three years old. They are bottled between 18 months and two years after harvest. The Courbis brothers produce some of the most compelling examples of St. Joseph and Cornas being made today. They have successfully combined their long family experience with a modern style, and their achievement has earned them international recognition. The wines are vegan. Wine Spectator 90"Solid, with a smoldering charcoal frame around the steeped plum and blackberry fruit. The finish lets the fruit linger as a tobacco leaf note emerges. Well-defined and fresh. Best from 2015 through 2020. 300 cases imported."